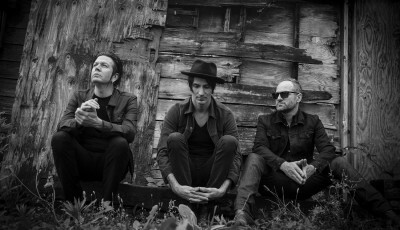 According to frontman Ed Kowalczyk, seeing U2 live solidified his determination to take his then-three-year-old band Live out of the relatively tiny town of York, Pennsylvania, to the top of the charts and onto stages across the globe. 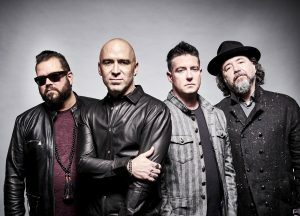 What cemented the band’s status as a top tier act in the burgeoning alternative rock scene was the 1994 release of their eight-million-selling album Throwing Copper. 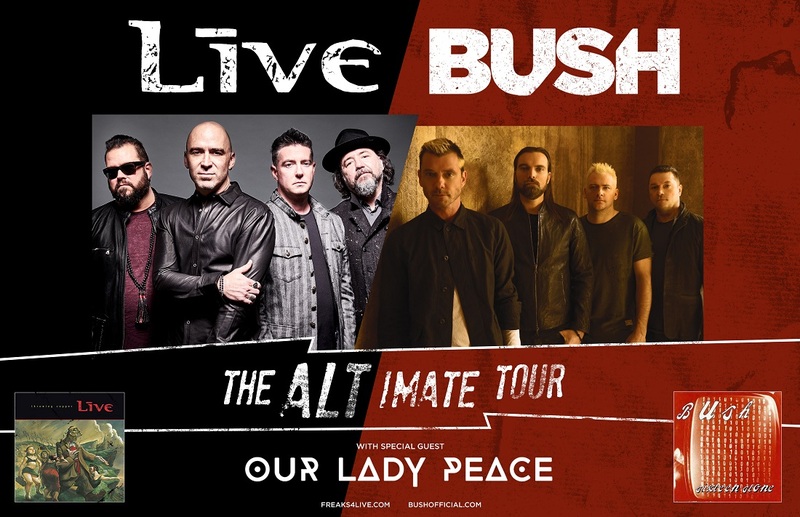 On June 6th, Live will join Bush on a co-headlining North American trek they’ve dubbed the ALT-IMATE Tour. 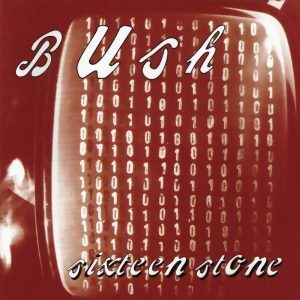 Both acts are celebrating the 25th anniversary of their respective seminal albums, Live’s Throwing Copper and Bush’s Sixteen Stone. Canada’s Our Lady Piece will open every show along the way. Tickets are on sale now. 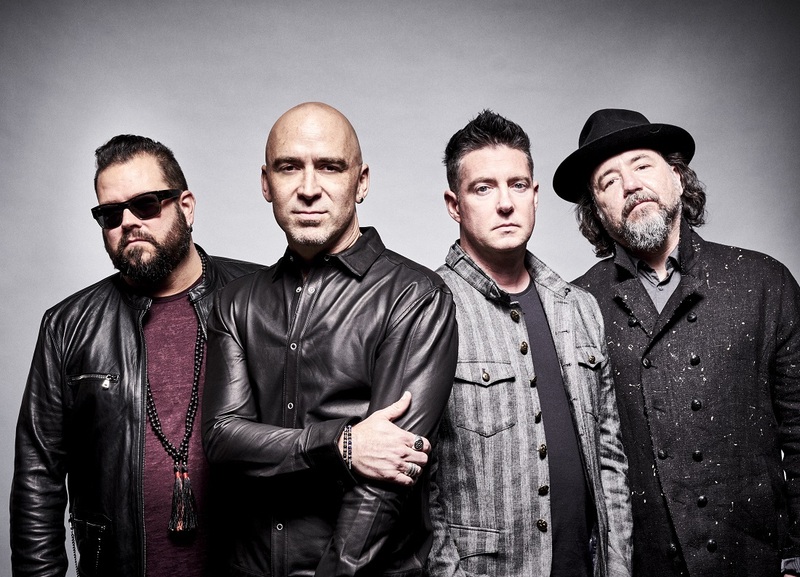 I recently spoke with Kowalczyk about the tour, the band’s landmark album, the changing landscape at radio and the music industry in general, and about what fans can expect to hear on the deluxe 25-anniversary edition of Throwing Copper, scheduled to be released in late July. 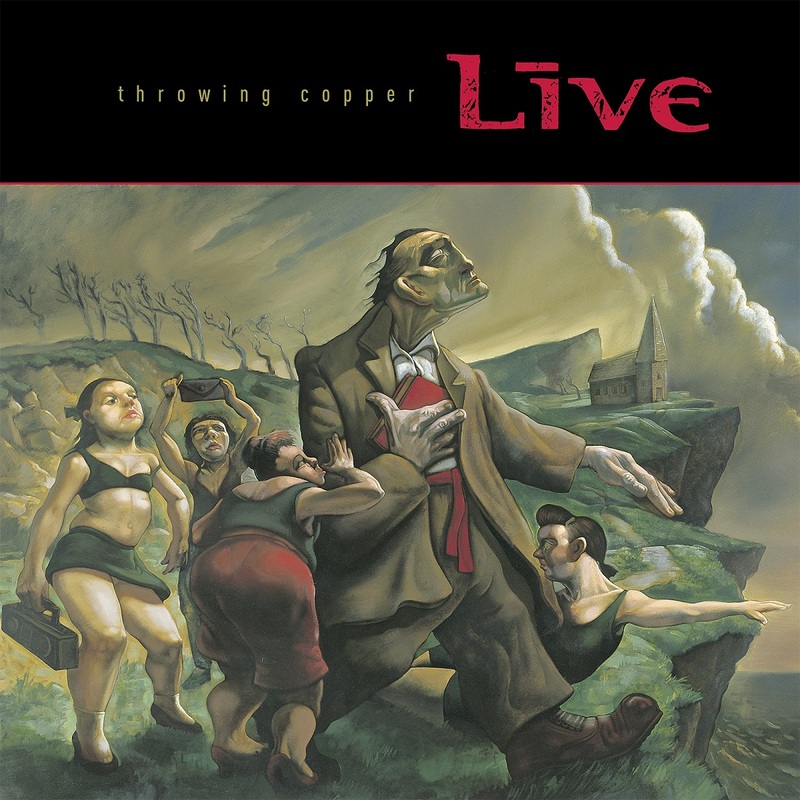 Live of course is celebrating the 25th anniversary of the release of the album Throwing Copper. And Bush is marking the same milestone for their album Sixteen Stone. Which camp approached the other about mounting this upcoming tour? Well, you know, we started to talk about celebrating the 25th anniversary of Throwing Copper of course, within the last year-and-a-half, two years or so. I mean, we knew it was coming. It was in the back of our mind, you know like okay we’re gonna do something special for this. We started to brainstorm about who else might be celebrating that kind of thing, too, and wouldn’t that be cool to find somebody that we’re fans of and mutual appreciation for that we could package up and maybe do it together. I’m not exactly who went to who, to be honest with you. I just know that Bush came up right away – or very early on – because of how the anniversaries lined up. All I know is that we were super into it, and we heard back from them pretty much immediately. And everybody, from the promoters to management and bands, were all like, yeah, this makes a lot of sense. And I’ve known Gavin (Rossdale, Bush singer-guitarist) and the guys for years. We’ve never toured together. We’ve crossed paths many times on festivals, and they’re all buddies. And it just seems like we’re gonna have a great summer. Everything lined up perfectly. Cool. So, you already answered my second question, which was gonna be have you guys toured together in the past, because I don’t recall that great bill happening. The co-headlining trek is titled the ALT-IMATE Tour. It begins June 6th in – boy, I’m gonna mash this up – in Mashantucket, Connecticut. (Laughs) Yeah, I hear ya! Yeah, exactly. Foxwoods Casino is easier for everybody (laughs). (Laughs) That’s a hard one. Tickets are on sale now. Would you explain what the moniker means to you? You know, the title of the tour. The name of the tour. Yeah, well, you know, ALT-IMATE of course, Alt-rock and the alternative scene of the mid-90s when both our bands, Live and Bush, had their seminal records, and kinda broke out into the scene in a big way. I always thought about the term “alternative rock” in a good way. What it meant for me, and what it still means for me, is that there’s an individualism and a uniqueness to your approach that is an alternative to what mainstream fare typically is or would be. And whatever that means, it could obviously be a million bands that could fall into that category. But for me, personally, it’s always been something I’ve taken a bit of pride in. Like, you know, that we came from this small town, York, Pennsylvania. We didn’t really come from a famous rock scene, like Seattle, or something like that, and we took our own path. And we’ve made the music – and continue to make the music that interests us, and is, I hope, intellectually stimulating. As well as being a visceral live show with tons of energy and volume and intensity. You check off all those boxes that you mentioned with the music. No doubt. On the “alternative,” you know, the label thing, Ed, I don’t know if you would agree, but I subscribe to the notion that there are only two kinds of music – good and bad. I would agree with that. For me, those categories, which I guess are beneficial to the business aspect of things – to sort of label things for radio stations and formats and record stores, and that kind of thing. Yeah, I agree with you. I feel like just because its alternative doesn’t necessarily mean I’m gonna be into it. You know what I mean? Just because it falls into this category. Yeah, I don’t put a whole lot into that. But I thought it was a clever moniker, so we’ll go with it (laughs). Yeah, it’s great. It fits. Definitely. And I though add to my subscribing to the theory, and that is, the good and bad depends on whoever is listening to the music, right? Absolutely! Yeah. Music touches people in unique ways. So, will you guys be alternating who opens and closes each show? How’s that gonna work? Yeah. So, it’s officially a co-headlining (tour) with Our Lady Piece in the special guest spot every night. 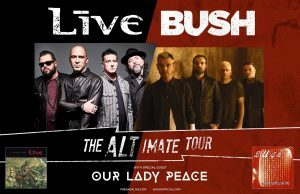 And it’ll flip between Live and Bush in terms of headliner. So about right down the middle. So, yeah, it’s pretty much a flip-flop. I was gonna mention Our Lady Peace in my next question. I produced Rockline in the mid-90s and those guys were on a lot. I had them on a lot, I should say (laughs). Great band. So many great songs. So, it’s gonna be a full night of great stuff. Will you guys be performing Throwing Copper in its entirety? The set will be designed to celebrate it, obviously. I don’t think we’ll play it from top to bottom, in terms of a run the album sequence, but there will be surprises in there. And absolutely, the sort of structure and the skeleton of the set will be definitely more Throwing Copper-centric of course with the anniversary. The funny things is we probably play six or seven songs from Throwing Copper every night, anyway. I think for us, what we wanted to do, was of course pull out songs like “T.B.D.” and “The Damn at Otter Creek” and these fan favorites that weren’t the singles and play those again. And honestly with the band having taken such a long break – break up, if you would (laughs) – for seven years or so, it’s been a solid decade or more since we played “The Dam at Otter Creek” regularly and “Pillar of Davidson” and all of those songs. For us it’s gonna be like playing new-old song kind of thing. We have a different lineup up on stage now. We have a percussionist and another guitar player, Zak Loy. So, we’re looking forward to taking these songs – and keeping true to the originals – but seeing what we can do with them now. Seeing what they bring out of us now. So, we’ll definitely be focusing on celebrating the record in a unique way. Oh, man! You know, in some ways both of them are appropriate in terms of encapsulating that moment – or series of moments – around ’94 when it came out. It was recorded in ’93. “Selling the Drama” of course is a song about delving into what we consume. What does it mean to be a band that goes out and takes on these big issues? And we were questioning that. I as a write was always on this sort of fault line of, I know it’s a rock band. We’re supposed to be having fun, but I really want to sing about these issues. I’m interested in these things personally so I’m gonna go for it and make it as dramatic and as visceral as possible. And then “Lightning Crashes,” of course you think of lightning striking, or whatever, and this sort of out of the blue success of the record. The unlikelihood of “Lightning Crashes” being a single at all because it’s so long at five minutes. So, there were many lightning crashening (laughs) crashening I just made up that word (laughs) moments on that tour and on that whole experience. There’s plenty of all that. So, actually I think both of them are, in their own way, are themes that are appropriate for the album. Cool, well that makes me feel that I was in the right space by picking those two. I hear all that in the album. Which song on the album should have been a single, but wasn’t? Oh, boy! You know, I would say over the years the song that I probably hear people say is their favorite more than any other songs that wasn’t a single is “Pillar of Davidson.” You know, real anthemic. Very much like the rest of the record. Really emotional. It’s funny, I’m friends with Corey Taylor from Slipknot and that’s like his favorite song on the record. You know, you never know. Well, for the record, I would have gone with “Top.” That would’ve been mine. You can’t go wrong, but that would have been a cool one, too. So, I’m sure I don’t have to tell you how much the radio landscape has obviously changed since ’94. My question to you is, has it changed for the better or for the worse? Well, it’s hard not to be nostalgic as a band for the time when there was more limited – you know, I don’t know, the word pipeline always comes to mind. There was like a pipeline that you had when you decided you were gonna be a band. You make these songs. Then you go, step one: you get a record contract. Step two: you have a single. And then step three: you promote that single to this particular format, or whatever. There was a kind of structure there that it’s hard not to miss it to some degree because it focused everything. It focused all the effort you were making with your band and the record company and all that. So, that being kind of, more all over the place now, and having exploded into this whole world of streaming and all that. When we get together now to lay those plans out, it’s different. It’s a lot different. There are parts of it that are really exciting. The speed of which you can get things to your fans now via the technology that’s available – that’s exciting. I think that our perspective, because of the long break. The fact that really during our break – slash – breakup – the birth of the internet in terms of music, you know, in terms of the emergence of Spotify and streaming and all that happened when we were not around. Life’s like that. You never know what’s gonna happen. We found ourselves in this completely different world, in terms of promoting the music and putting it out. It’s probably a mixed bag. I would say it’s a blessing and a curse. It is a mixed bag. Absolutely. Yeah, no doubt. Two more questions for you, Ed. And again, thanks for your time today. It’s good to talk to you again. 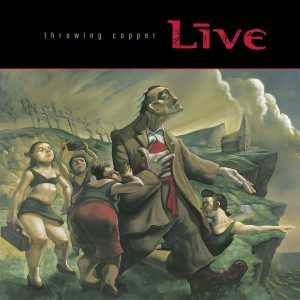 What can you tell us about the deluxe 25th anniversary edition of Throwing Copper that I hear is on the way? It’s really cool. There are some nice, little surprises in there. We have three songs that were actually recorded for the Throwing Copper sessions, so we recorded 17 songs and 14 made it on. There’s a song called “Hold Me Up,” which fans have been dying to get their hands on for about that long (laughs)! Decades now. And we never released it. So, there’s some really fun little gems in there. A song called “We Deal in Dreams.” I think “We Deal in Dreams” did come out on a greatest hits a long time ago, but “Hold Me Up” has never been on anything, so we’re excited for everybody to hear that. And then we also have our Woodstock ’94 performance. Chad Taylor, our guitar player, mixed that, and that’s gonna be in the vinyl. They’ll be a double vinyl. You’ll get to listen to the live versions of those songs in ’94 and also of course all the goodies from the Throwing Copper album, plus the three unreleased tracks. So, there’s a lot of cool stuff in there. Final question for you. It’s the proverbial Beatles on Ed Sullivan moment. Did you have one of those after a song came on the radio, an album you heard, a concert you went to, where you said then, this is what I have to do with my life? Oh, yeah! There was a clear moment for me. I was 16 years old. !987. U2. Joshua Tree tour in the old Veteran’s Stadium in Philadelphia. Fifty bucks got me a ticket and a bus ride to Philly from York for my first concert. And it just changed my life. I mean I remember leaving the venue just on this high and waking up in the morning and grabbing the guys – because we were already a band. Me, Chad and (bassist) Patrick (Dahlheimer) had started the band a few years before that. I took those guys aside and said, “Man, I just saw this show. We’re doing this! We’re gonna do this!” And they were, like, we’re in it! Let’s go! It was a pretty watershed moment in my life, for sure. That’s great. And U2, one of my all-time favorite bands. We could go on and on (laughs). Oh, yeah! Me, too. For sure. Well, it was a pleasure to talk to you again. Absolutely, thanks man. Take care. Thank you so much. Bye now. 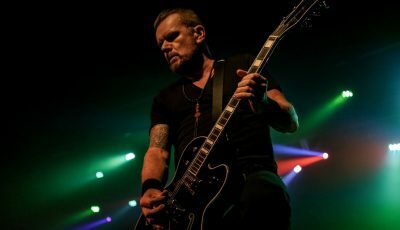 An Interview With THE CULT’S Guitarist and Founding Member, BILLY DUFFY, On Their Legacy and Their Upcoming Revolution 3 Tour! 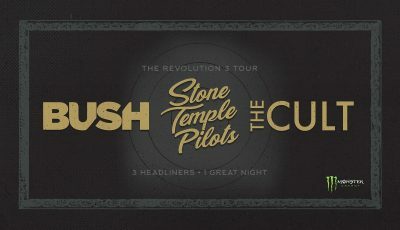 A Preview of This Summer’s Forthcoming Revolution 3 Tour Starring Tri-Headliners BUSH, STONE TEMPLE PILOTS AND THE CULT!